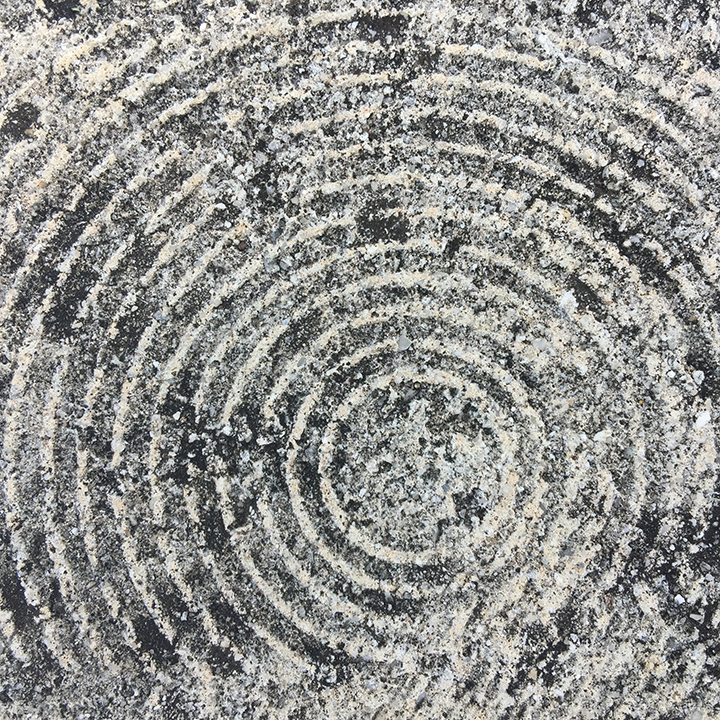 The image above, “concentric circles,” is part of the Pavement series, a Miami based photographic exploration of abstract art on the sidewalks and streets. When I decided to experiment with photos and screen printing, I chose this image for its graphic readability. It is an ubiquitous, generic pattern and/or form found in science and symbolism. For me it represents transformation and growth emanating from within. Please visit LeylashShop on Etsy to learn more about the screen printing process and to browse items: proceeds for all t-shirts will be donated to Miami’s Overtown Youth Center. This photography series is my most cohesive to date. I decided to donate proceeds to a local organization to express my appreciation for Miami, particularly the photographic inspiration it’s provided. Overtown Youth Center was the obvious choice because the photographs in the series are from areas in the vicinity, and because the Center offers programs that support and uplift youth, families and the community in general. This entry was posted in abstract art, etsy, leylashshop, pavement, photography and tagged abstract art, circle, circles, concentric circles, concrete, etsy, leylashshop, pavement, sidewalk, street, street art.